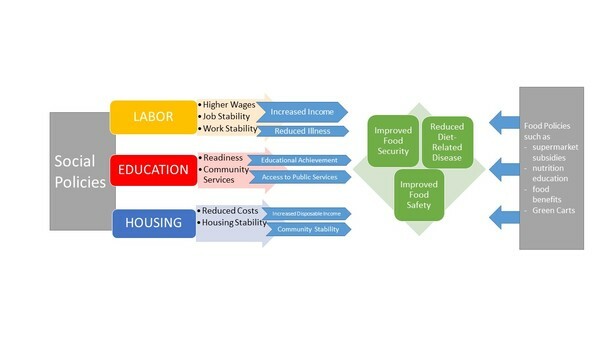 In this month’s newsletter, Nevin Cohen, Director of Research at the CUNY Urban Food Policy Institute, examines the “hidden” food policies of New York City –the housing, education and employment policies that indirectly make it easier for more New Yorkers to avoid food insecurity and afford healthier food. His policy brief on this topic encourages policy makers and food policy analysts and advocates to consider how New York and other cities can assemble the best portfolio of “upstream” policies that reduce inequality and improve overall living conditions and more targeted food policies (e.g., Green Carts, easier SNAP enrollment, FRESH, etc.). We also introduce two of our new staff members who are helping to strengthen existing and launch new Institute initiatives. Finally, we invite readers to visit our new website www.cunyurbanfoodpolicy.org. We hope it will become a resource and meeting space for those interested in City University of New York’s engagement in food justice and food policy, those working to develop more effective and equitable food policies for New York and other cities, and those who use the food sector to promote community and economic development. Look soon for our Fall Schedule for Urban Food Policy Forums. In response to growing attention to inequality, several progressive cities in the United States have adopted policies that seek to improve wages and working conditions, education and housing affordability that are upstream drivers of the socioeconomic and racial/ethnic disparities in health that characterize our city and nation. Can these upstream interventions also contribute to reducing food injustice? And how do their impacts compare with that of more overtly food-focused programs such as cooking classes or supermarket incentives? In this month’s Food Policy Brief, Nevin Cohen examines several social justice initiatives championed by New York City Mayor Bill de Blasio and City Council Speaker Melissa Mark-Viverito, to illustrate why some policymakers, advocates, funders and researchers concerned about food justice are turning their attention upstream. 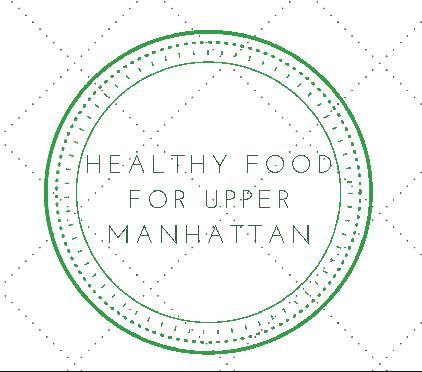 Charita Johnson is Program Manager for the CUNY Urban Food Policy Institute’s Youth Food Educators (YOFE), which prepares young people in Upper Manhattan to develop and launch countermarketing campaigns against the promoters of unhealthy food. She has a deep interest in community nutrition, nutrition education, food security, and improving access to healthy and affordable foods in low-income neighborhoods- passions she developed while interning at the Harlem Neighborhood Health Action Center (formerly the Harlem District Public Health Office), where she observed firsthand the health disparities that burden underserved communities. In addition to her public health work, she is also the Director and founder of a youth mentoring program, My Sista’s Keeper. She holds a Masters degree in Nutritional Sciences from Rutgers University. Lorne Feldman is Good Food Jobs Research Associate at the CUNY Urban Food Policy Institute and Adjunct Instructor in the Culinary Arts program at Kingsborough Community College. He has worked as a counselor to the homeless, substance users, and people with HIV/AIDS at organizations like Housing Works, and Positive Health Project before deciding to pursue his passion for baking. Throughout his subsequent career as a pastry chef, he remained committed to mentorship, a value he brings to his current activities at the Institute in food sector workforce development. He holds a Masters degree in Counseling Psychology from Northwestern University and completed the Pastry and Baking Diploma Program at the Institute for Culinary Education. He has also led a food job training program at the Fortune Society. 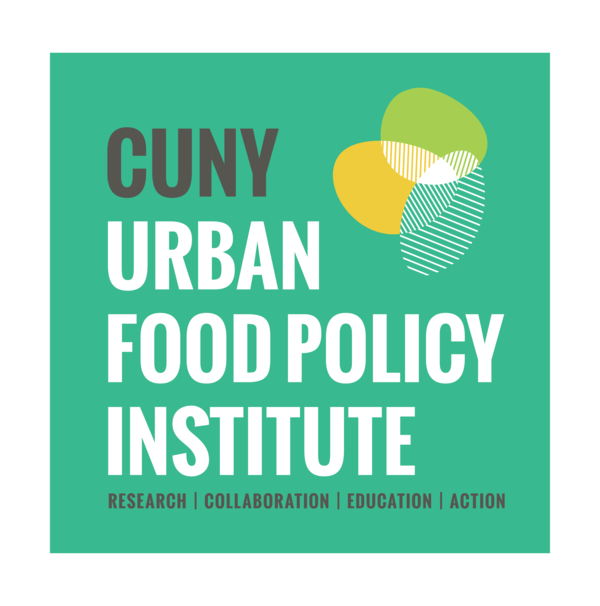 Today we launched our new website, cunyurbanfoodpolicy.org. Learn more about what we do, research opportunities, upcoming events and other news and updates.